At Relevant Financial, our objective is to assist you to become financially independent by helping you create, build and protect your wealth. 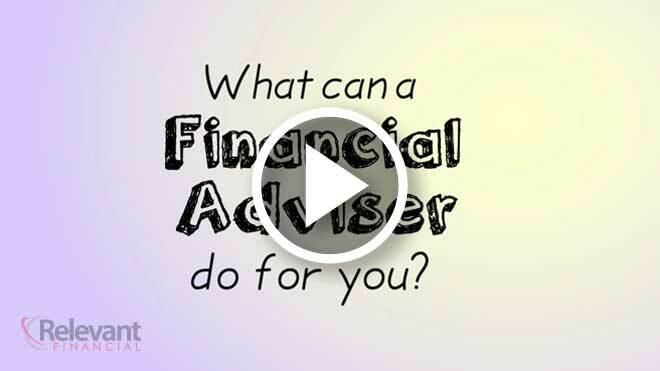 Comprehensive financial advice services to help you at all stages of life. With over 50 years experience, our advisers provide expert advice to help you. Updated news articles covering topics such as super, investing, budgets and retirement. Powerful and free financial tools to help you with budgeting and finances. At Relevant Financial our approach begins with us working with you to gain an understanding of your financial values and goals and then we prepare a strategy that is structured to suit your individual needs and circumstances. Our objective is to assist our clients to become financially independent by helping them create, build and protect their wealth. Our financial planning process doesn't end when a clients plan has been implemented. We regularly meet with our clients to review their financial plan strategies and to ensure they are on track to realize their dreams. We offer our clients a personal, long term relationship with excellent customer service and if you are concerned about your financial future we urge you to contact our office.